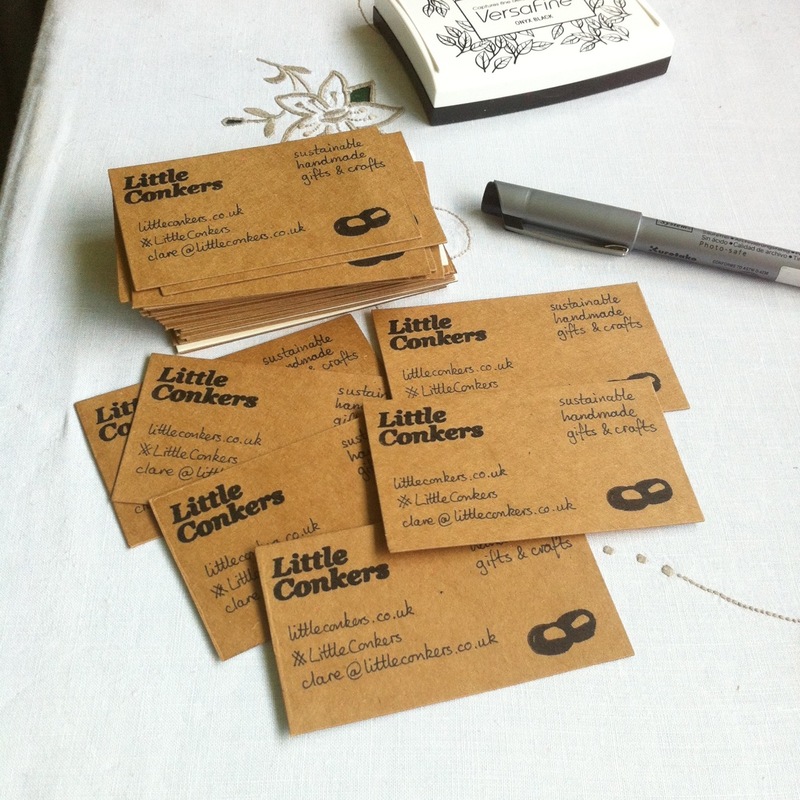 Here’s another new addition to my range – personalised notepads for knitting and crochet. 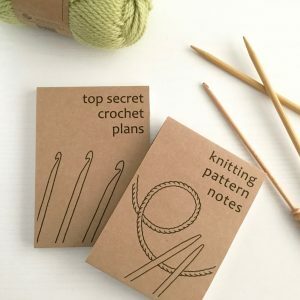 We all know how important it is to have a notepad handy when knitting or crocheting! These 100% recycled notepads feature my original drawings on the front, plus your personalised text. Update: I have updated these notepads with more designs and additional features – click here to see the new range. New miniature bunting greetings cards! 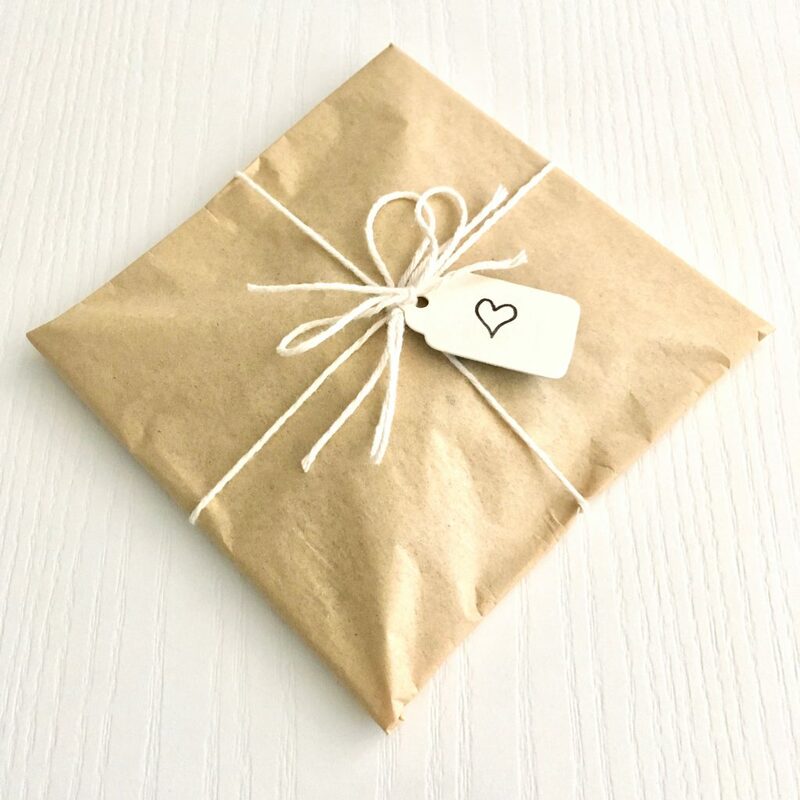 I’m on rather a roll at the moment, and here’s another addition to my shop I’ve been planning for a while. 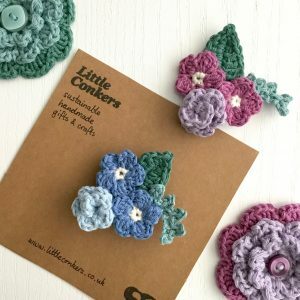 I’ve been refreshing my range of handmade floral crocheted brooches this week. It’s been a while since I had some of these designs in stock, and I have also relisted my more autumnal recycled wool brooches. 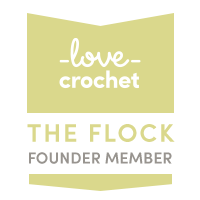 I’m excited to present my latest crochet kit – this handsome waffle stitch dishcloth. This is an ideal beginner project, and the kit makes it even easier. Scroll down for links to the pattern and kit. 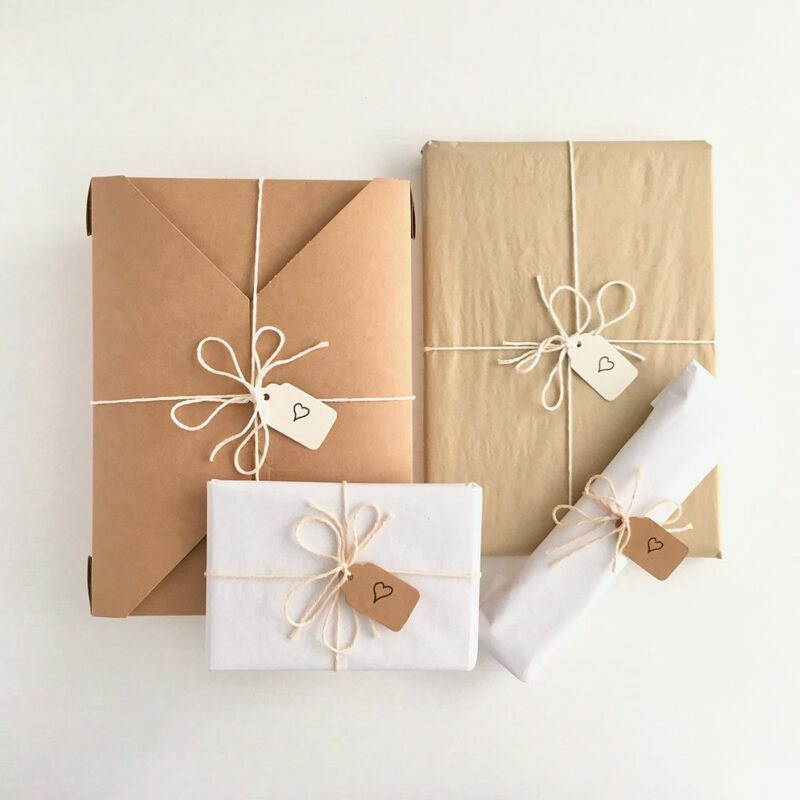 When you run your business in snippets of time snatched here and there, a lot of projects take a very long time from first idea to fruition (my Crochet Dreams Colouring Book was definitely one of those). So it’s rather lovely when occasionally something sparks and takes light very quickly. This week I’ve had one of these surprise turnarounds which has been great fun. 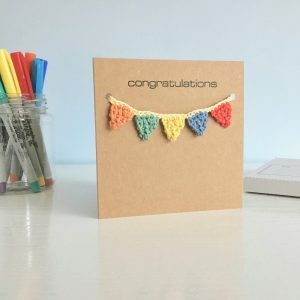 Here’s a new design I’ve added to my range today: rainbow brooch cards. 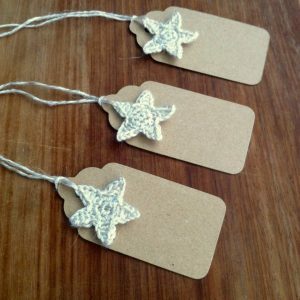 I had the idea to make these after being invited by the very talented Louise of Louise Goodchild Designs to take part in her Rainbow Market this coming weekend. I have no idea why it had never occurred to me to add rainbows to my range of brooch cards before, because they’re so cheerful and I think anyone would love to receive a card with one of these brooches.